"Teaser video" - it is 1-2 mins long and available within a few days of your wedding. It teases you with a highlights of the most cinematic clips of your day. "Feature video" - This video is 10-15mins long and covers your day from start to finished. We edit this using 3-4 songs of your choosing. "Online video link" - We will prepare your video online and send you a link to view, share and download. "Digital Delivery" - All of your edits will be loaded onto a flash drive in stunning 1080P HD. 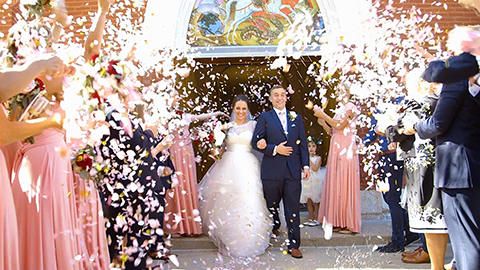 Full Ceremony Edit" - This video shows your ceremony from start to finish. Now you can always go back and watch your special day again. "Digital Delivery or "Up to 4 DVDs/Blu-rays " - All of your edits will be loaded onto a flash drive in stunning 1080P HD. "Up to 6 DVDs/Blu-rays " - All of your edits will be loaded onto a flash drive in stunning 1080P HD. 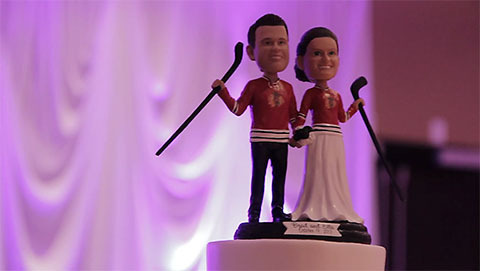 Additional hours of video coverage at $200/hour if added prior to the wedding. $300/hour overtime fee if event runs late and we are requested to stay later. 3rd Cinematographer for $100/hour with a 4-hour minimum when booking. Expedited editing: $600 - have your entire wedding editing completely done within 2 weeks. Wedding day is so unique and raises so many questions. You are trying to prepare at your best - let us help you out.The answer is right when you click on the most common questions we are being asked. How do we reserve the date with you? Please let us know your date ASAP.To book the date with us we ask for 10% downpayment. The next 40% is due on your wedding day. The remaining 50% we will ask after the movie is complete and ready for you to pick up. Why are your movies not 2h or more, like they used to be? 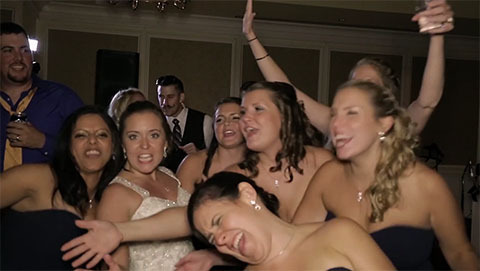 The long and boring wedding videos are long gone! 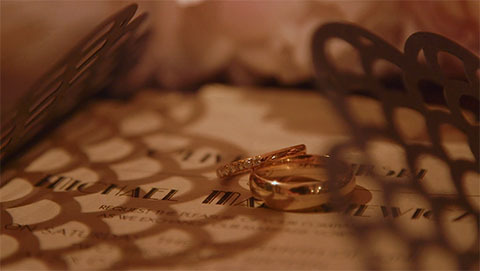 We take out the long and the boring parts and create a short, emotional and exciting wedding film. 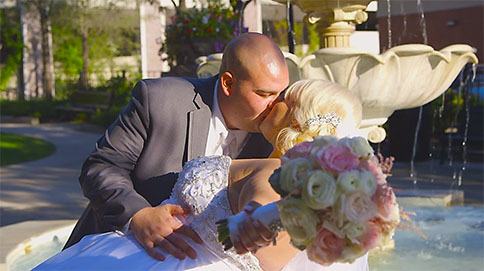 We will take the most wonderful parts of your special day and combine them into a beautiful story that you will be happy to share with your family and friends. Before your wedding we’ll contact you to go over your wedding scenario and any specifics and ideas you might possibly have. This will give us a pretty good picture of what you’d like included in the final editing. WHAT TIME SHOULD YOU ARRIVE TO start shooting MY WEDDING DAY? We like to be with you when you are having your hair and makeup done. That gives us a nice beginning of the storyline in your wedding movie. However, each wedding t is very different. We will discuss that when we talk details. HOW MANY CAMERAS DO WE NEED? To answer that we need to know size of venue , lighting conditions, budget, layout and timeline of ceremony, and distance between locations. One camera can only capture so many things at the time. Multiple cameras allow flexibility and the ability to capture more action, background and different angle shots. For example, if you have just one camera at the reception, it might only allow us to capture the speaker, not the people laughing. The shot of 3 cameras make the movie more interesting to watch. An example of one scene- 3 cameras shots: cam.1 Bride's face , her emotions and look, cam. 2 Groom's face - his emotions and look, cam.3 a general view of Her, Him and the Minister of the ceremony along with the decorations ans background ( wide angle) Each wedding is exceptional so we would be happy to find out what is your idea. WHO CHOOSES THE MUSIC FOR MY WEDDING FILM? You make us responsible for your wedding movie. However, we want your film to be totally "you"…not us! We try to find music that best fits to the pace and emotions of your day. So, as always, we can discuss your preferences or ask for couple of your favorite songs that you would love to have during the wedding movie.If we don’t feel it fits the mood or feeling of your day we would suggest a different music and let you know about it. You need to be completely happy about our job ! HOW SOON FROM THE WEDDING DAY WILL WE RECEIVE the WEDDING FILM? We will edit and have your wedding film ready within 2-3 months of your wedding through the regular process. Unless you request the expedited time - that would take up to 2 weeks. Feel like you are ready for your Wedding Day? Let's start creating Your Movie.